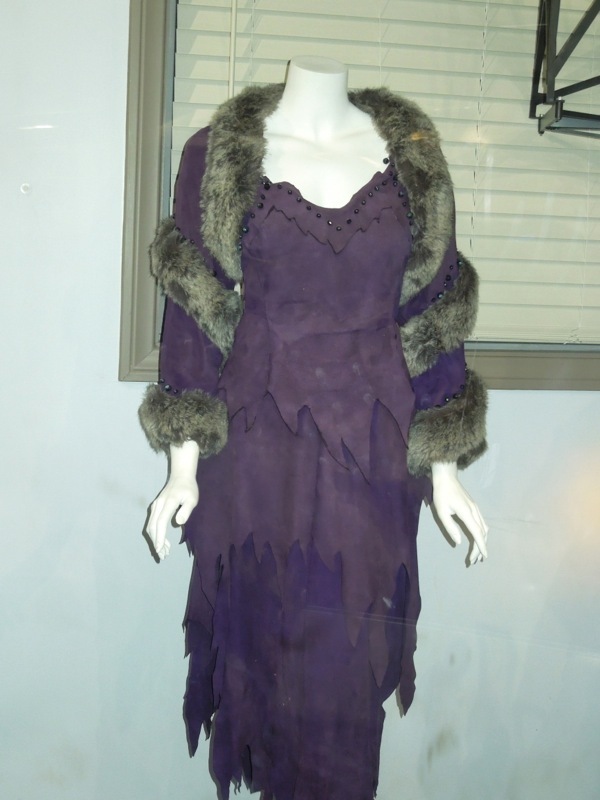 In 1994 Hanna-Barbera's classic 1960's animated sitcom The Flintstones came to the big screen in a live-action spectacle which saw the Stone Age town of 'Bedrock' and its prehistoric inhabitants brought to life. 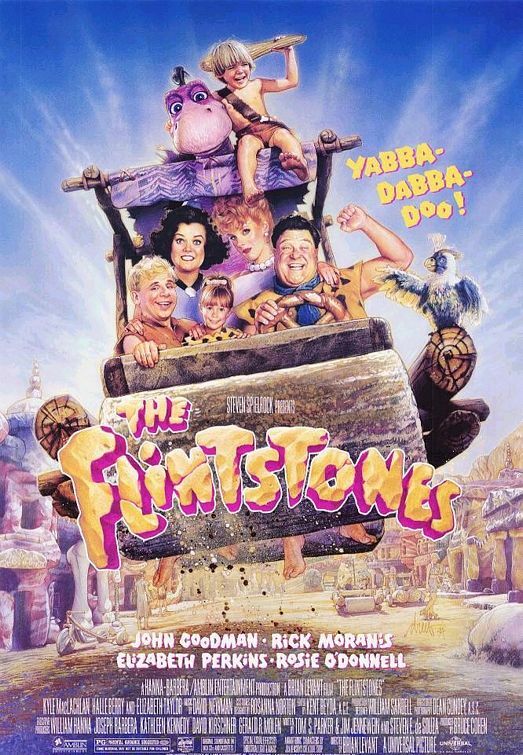 Working-class quarry workers 'Fred Flintstone' and his next door neighbour 'Barney Rubble' were played by John Goodman and Rick Moranis, whilst Elizabeth Perkins and Rosie O'Donnell played their respective wives, 'Wilma' and 'Betty'. In this fantasy world of cavemen, dinosaurs, woolly mammoths and sabertooth tigers cohabiting, Elizabeth Taylor starred as Wilma's mother and Fred's disapproving mother-in-law, 'Pearl Slaghoopple', in her final film appearance after an illustrious career. 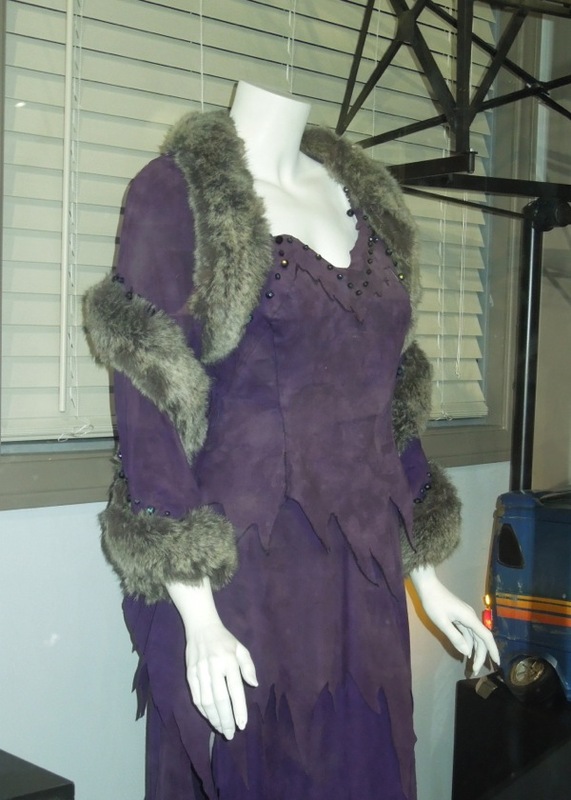 This fur and animal skin purple ensemble was designed by Rosanna Norton, whose costumes designs you can also see in Disney's Tron. 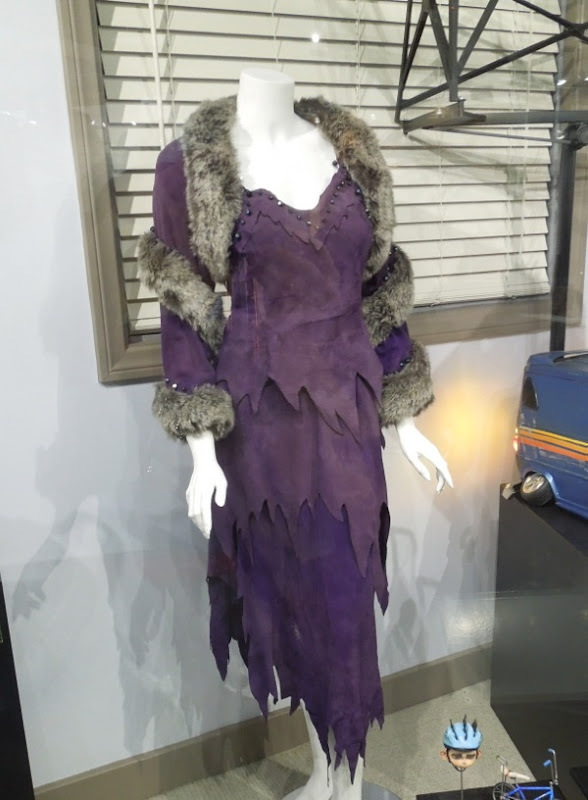 If you're a fan of the live-action movie based on the iconic cartoon series, be sure to also to take a look at John Goodman's Fred Flintstone bowling outfit and sports car from The Flintstones on display at the Planet Hollywood cafe in Las Vegas.